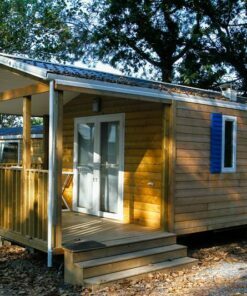 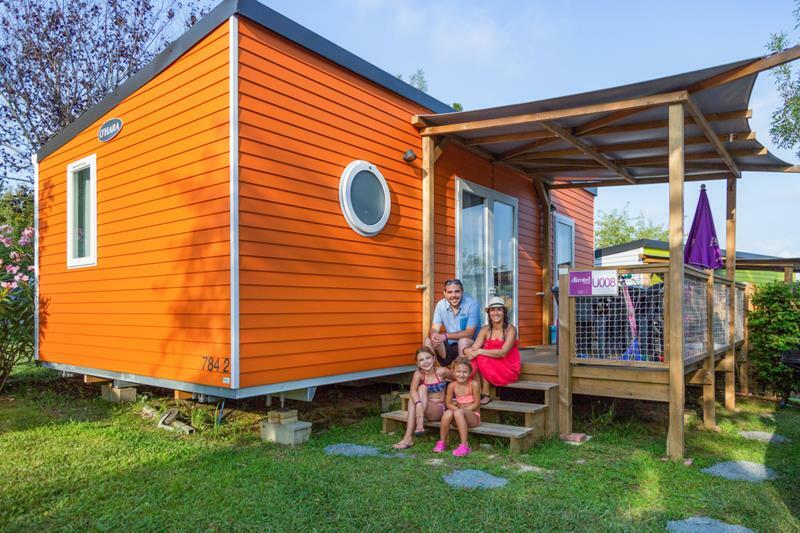 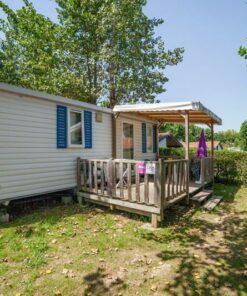 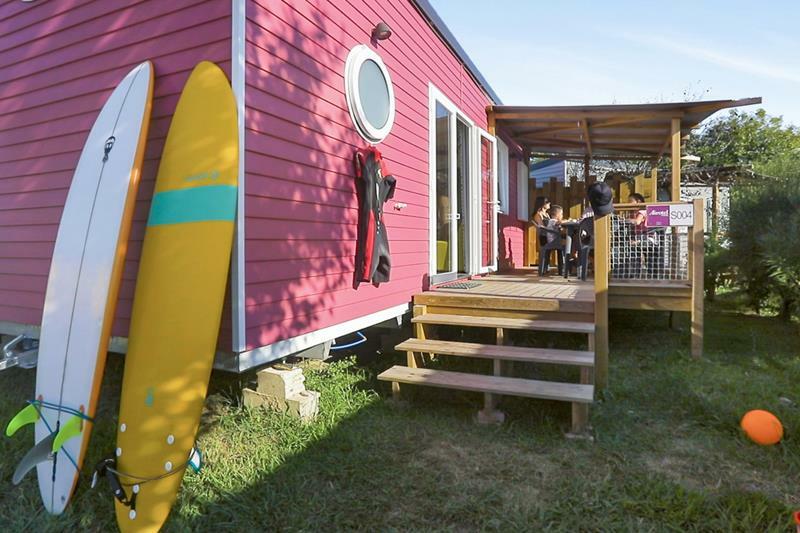 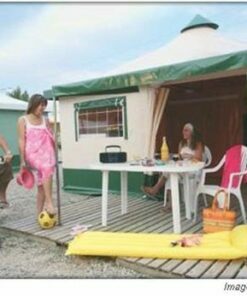 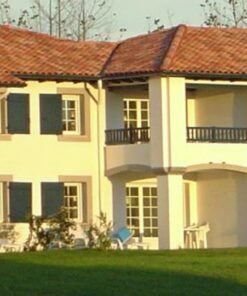 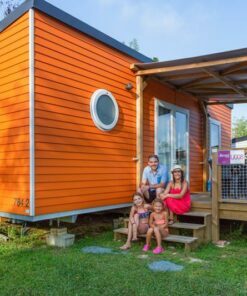 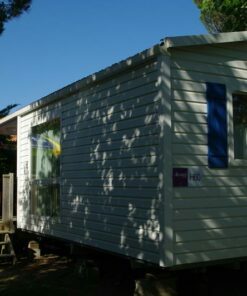 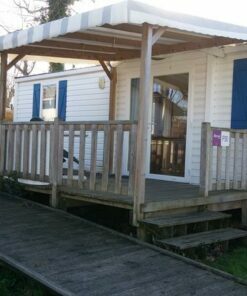 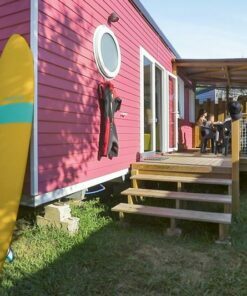 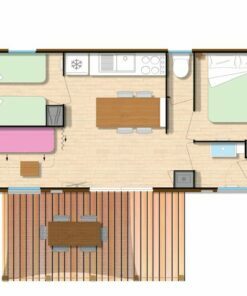 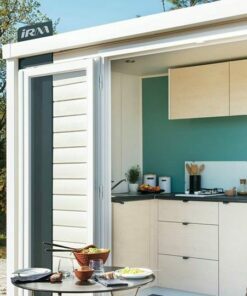 In the family of luxury mobile homes Sunny*Premium, I ask for the 2 bedroom mobile home model Mendikoa, a must to enhance your holidays in the Basque Country. 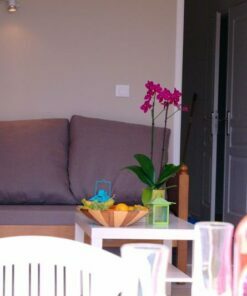 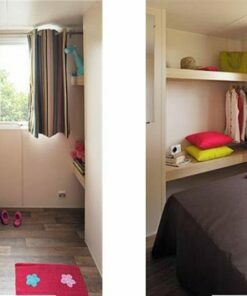 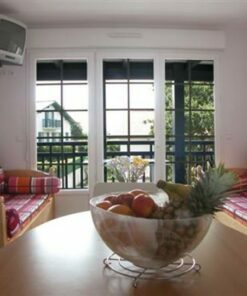 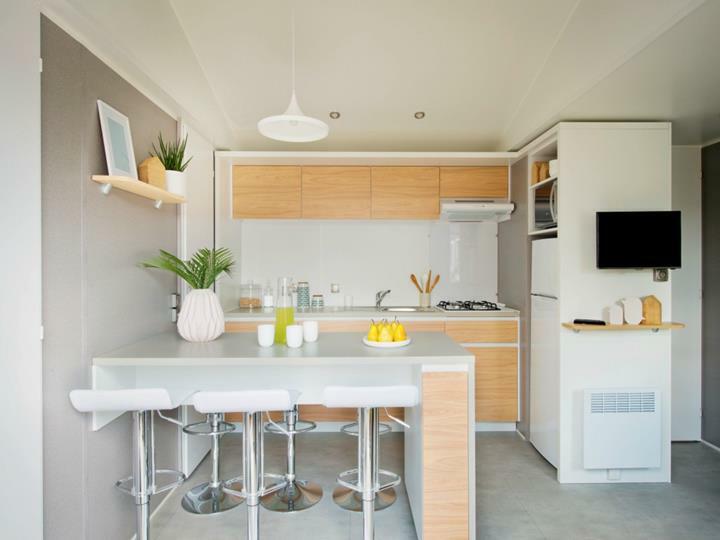 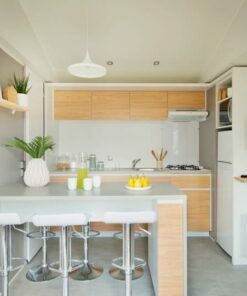 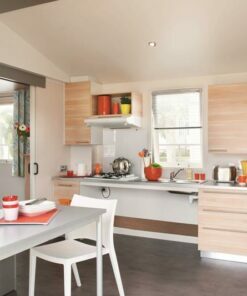 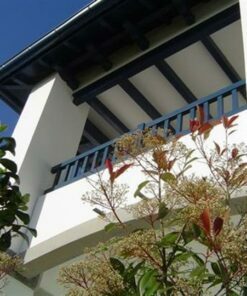 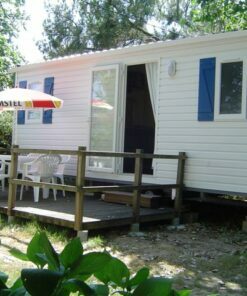 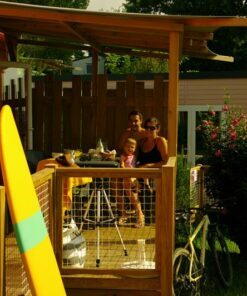 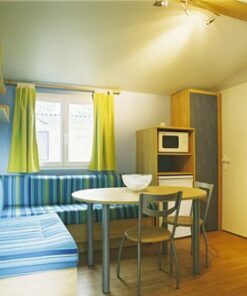 Rental of luxury mobile homes from the Sunny*Premium range, model Mendikoa, for 4 to 6 people in Biarritz. 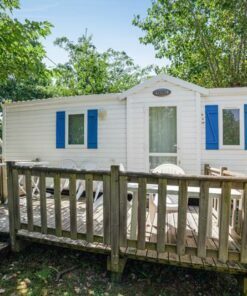 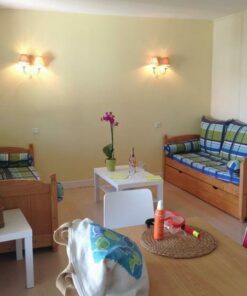 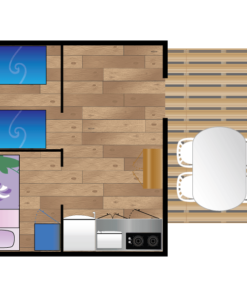 The Mendikoa Sunny* Premium 2 bedroom mobile home with its beautiful covered terrace is the ideal rental for families looking for absolute comfort. 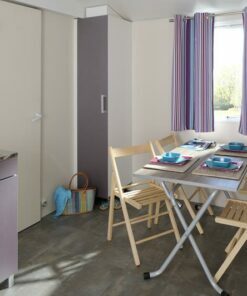 Indeed, thanks to superior quality fabrics and coloured materials, it is magnificent. 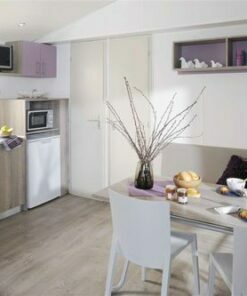 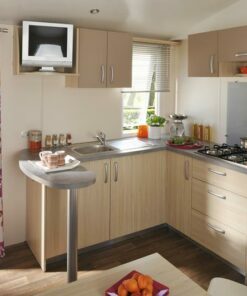 The kitchen is also highly functional thanks to the dishwasher and Nespresso coffee maker, among many other advantages. 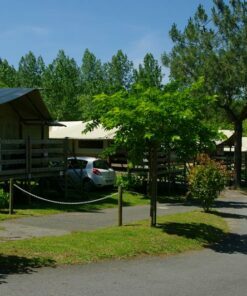 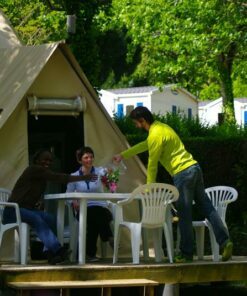 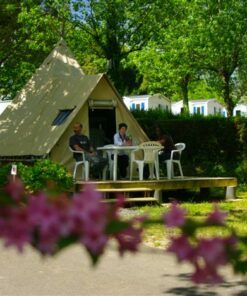 Enhance your holiday with this unique accommodation at Camping Oyam with its ultra-modern and bright decoration. 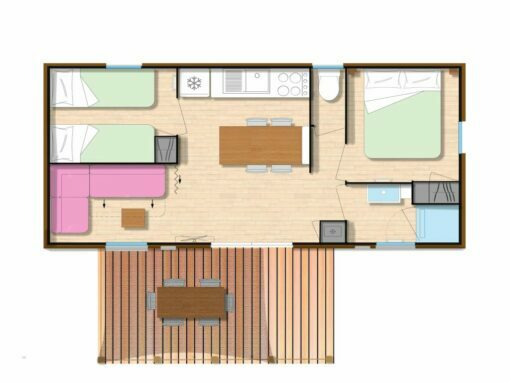 The central island will allow you to share a living space open to the outside world, with current layouts sought by today’s campers. 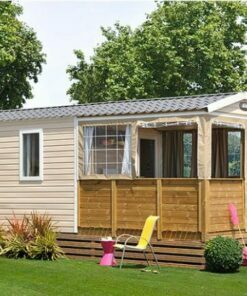 Finally, a WIFI Pass is offered by mobile home Premium. 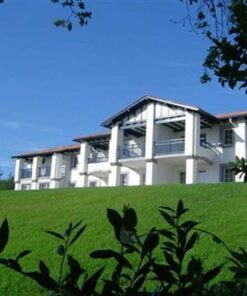 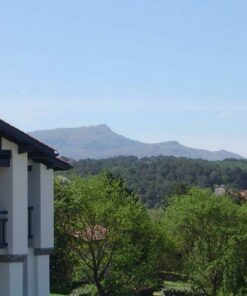 Enjoy the exceptional location of Bidart, a typical Basque village only 10 minutes from Biarritz.